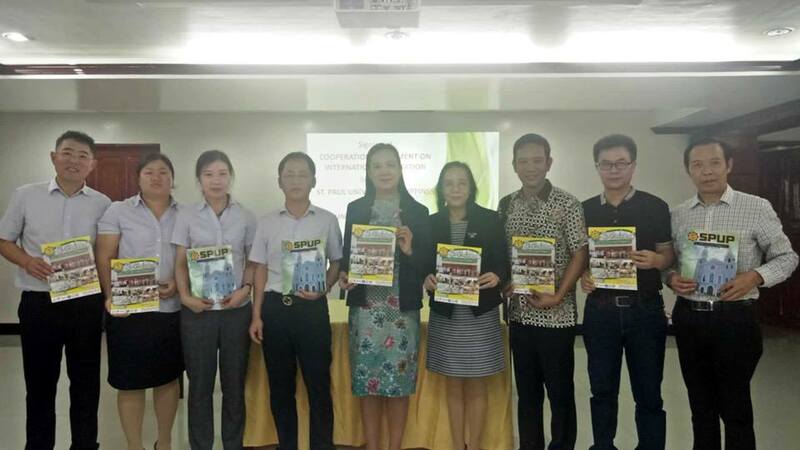 St. Paul University Philippines signed a Cooperation Agreement on International Education with Hunan Nursing School on January 22, 2019 at St. Paul University Philippines, Tuguegarao City which aims to foster academic exchange between the two institutes through graduate studies of the faculty from the Chinese school as well as English language learning of both faculty and students. Said activities will be conducted at the SPUP Campus. The discussions and signing were facilitated by Dr. Jeremy Godofredo Morales (Director for International Relations), and attended by Mr. Ding Zhiqiang, (President of Hunan Nursing School) together with faculty and staff from the same school. Dr. Anuncuacion Talosig, (Dean of the School of Nursing and Allied Health Sciences) Dr. Ma Elizabeth Baua, (Associate Dean for Nursing) and Dr. Vince Luo Yongming (CEO of FMIEG) were also in the event as signatories and witnesses. Meanwhile, officials from the Education Bureau of Maoming City Senior High School Section also visited SPUP on January 18, 2019 for discussions and signing of a Cooperation Agreement on International Education for continuing education of their senior high school graduates at SPUP.